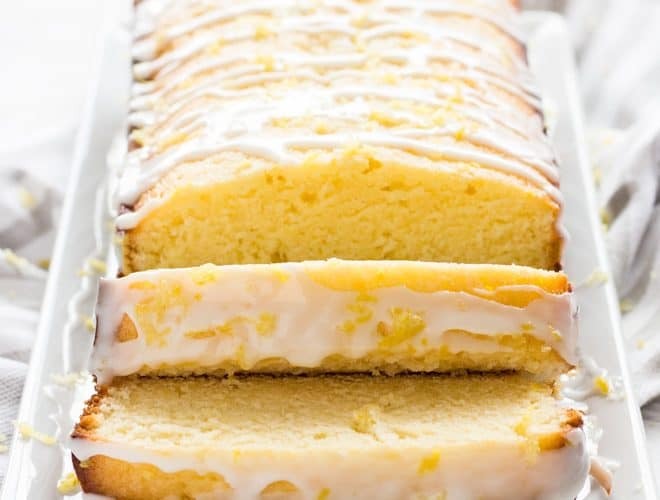 Glazed lemon pound cake is tender, sweet and full of lemon flavor. 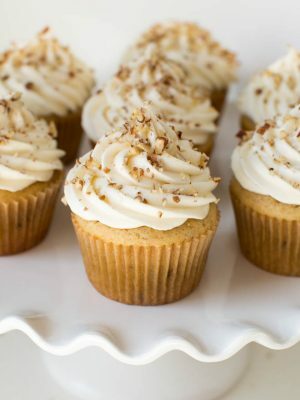 It’s a delicious dessert to try for spring! Spring is in the air! 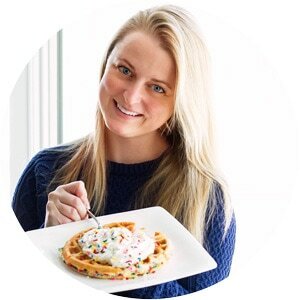 Haley here from If You Give a Blonde a Kitchen, and something about spring makes me want to bake lemony desserts. They’re fresh, sweet and simply make me happy! Today I’m sharing my recipe for lemon pound cake. Why is pound cake so freakin’ good? Obviously the answer is butter, sugar and flour, but I’m still surprised each time I make it. 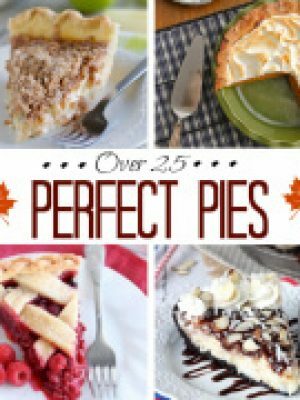 The most basic ingredients make the most delicious dessert! This time around I wanted to add a fresh twist on the run-of-the-mill pound cake. Lemon easily does the trick. A couple teaspoons of lemon zest, a few tablespoons of lemon juice and this pound cake is ready for spring. Oh, and don’t forget about that bright yellow color! How can that not put a smile on your face? It’s amazing what a little lemon does to a dessert. But the real kicker for the lemon pound cake is the glaze. It simply tops it all off. The sweet and tart lemon glaze adds an extra dose of lemon flavor without over doing it. It acts as an icing that complements the tender pound cake. 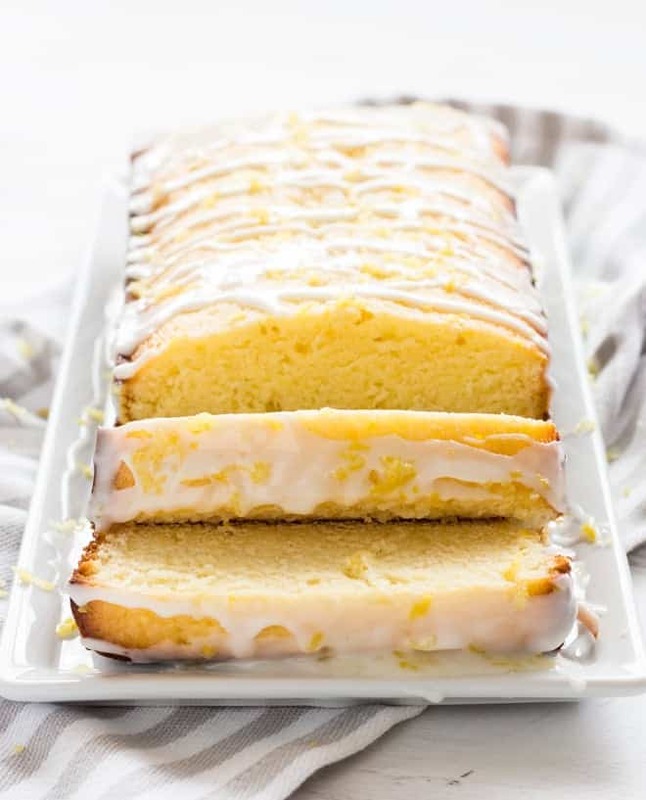 The glaze pushes it past a good lemon pound cake and makes it great. Aside from having amazing lemon flavor, the texture of this cake is on point. It’s tender and dense (as a pound cake should be) while delivering a sweet, buttery taste in every bite. 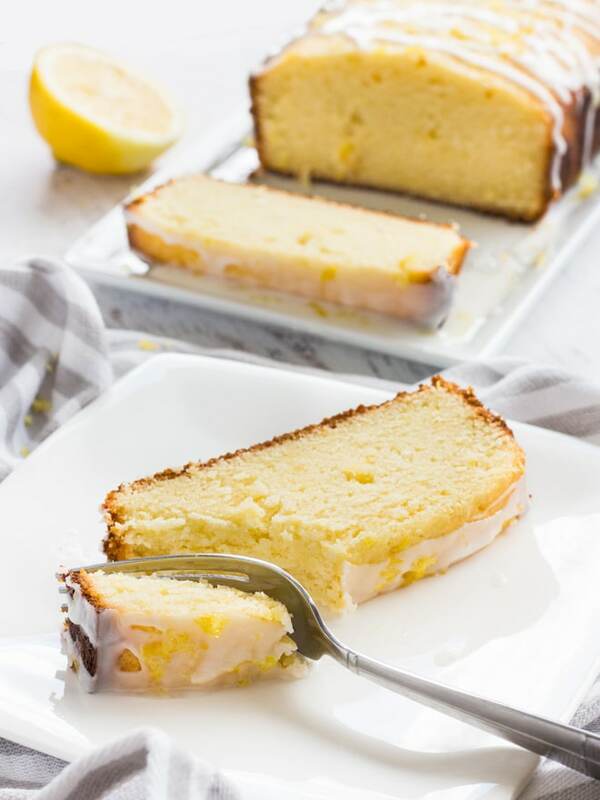 To put it simply, this lemon pound cake is so good, you must add it to your list of desserts to try this spring! 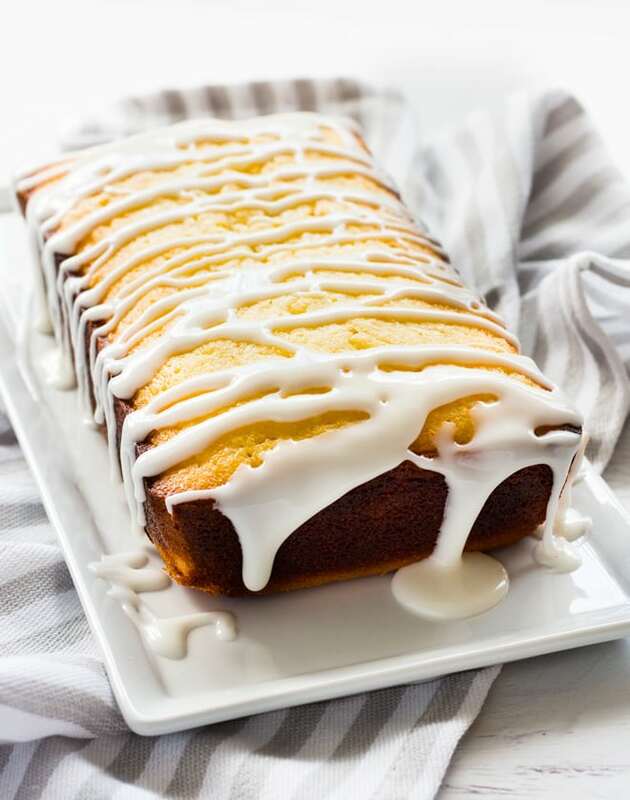 Glazed lemon pound cake is tender, sweet and full of lemon flavor. 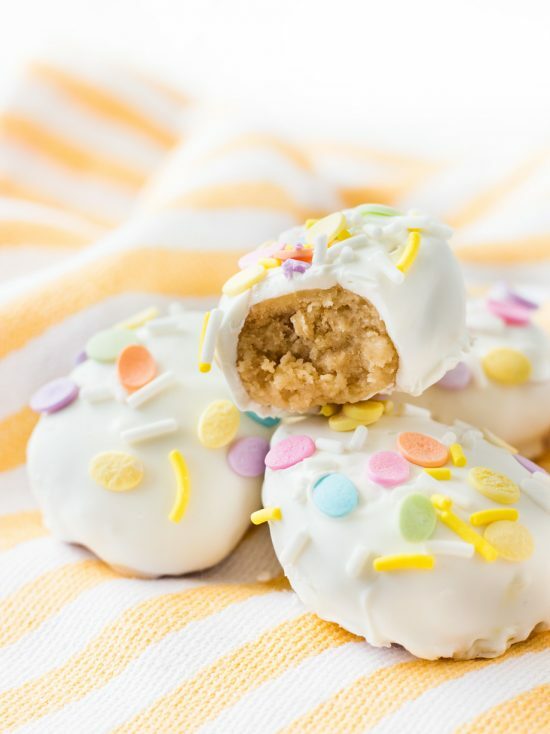 It's a delicious dessert to try for spring! Preheat oven to 350° F. Line a 5-inch by 9-inch loaf pan with parchment paper and spray with nonstick cooking spray. Set aside. With the mixer on low, add one third of the flour mixture followed by half of the milk. Repeat letting each ingredient mix until mostly combined. Finish by adding the last third of flour mixture and mix just until incorporated. Avoid over mixing. Pour cake batter into prepared loaf pan and bake for 55 to 60 minutes or until a toothpick inserted in the center of the pound cake comes out with little to no crumbs on it. Let cake cool for 10 minutes in the pan, then use the parchment paper to lift the pound cake out of the pan and cool completely on a wire rack. To make the glaze, whisk together confectioners' sugar and fresh lemon juice until no lumps remain and a drizzle consistency is reached. If necessary, add another teaspoon of lemon juice. Spoon glaze over the cooled pound cake and serve. Store covered at room temperature for 3 to 4 days. The batter may look slightly curdled after adding the lemon juice. That is okay! Quickly move on to the next step and the cake will turn out beautifully. Well I just made the cake but had to leave it in a little longer and umm is it supposed to rise and overflow? I put it in a 9 x 5 pan like you said but it overflowed..hope it still taste good. Hi, Victoria! No, it's definitely not supposed to rise and overflow. Did you use a standard loaf pan with 2 3/4" sides? And when you added the batter to the pan was it only about 2/3 to 3/4 full? Because I'm not exactly sure what occurred during making this recipe, the only thing I can think of is that the batter was overbeaten which can cause cakes to overflow. You want to beat *just* until incorporated and be sure not to over beat. This recipe only has 1/4 teaspoon leveling agent (baking powder) so it should not rise much at all. hi, can i use all oil instead of butter or shortening? Hi Raquel - I do not recommend that for this recipe. It’s says add butter and shortening. But the ingredients it says butter OR shortening. Which is it? Hi, Debby! The recipe calls for 1/2 cup butter plus an additional 1/4 cup butter or shortening. I use all butter but you are welcome to use a mix of both as stated in the recipe. Enjoy! HI, this cake looks amazing. If I double the recipe can this be baked in a tube pan for a larger pound cake? Thanks. Wow! I made this today and it came perfectly as I see it on this blog.I can't express my feelings right now.Tastes absolutely great.You are making me a better chef ever than before. What exactly is shortening? Isn't butter considered shortening? Thanks! Hi, Suheil! Yes, butter is shortening. 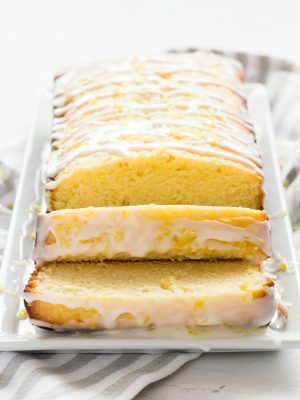 This is absolutely my favorite lemon pound cake!! 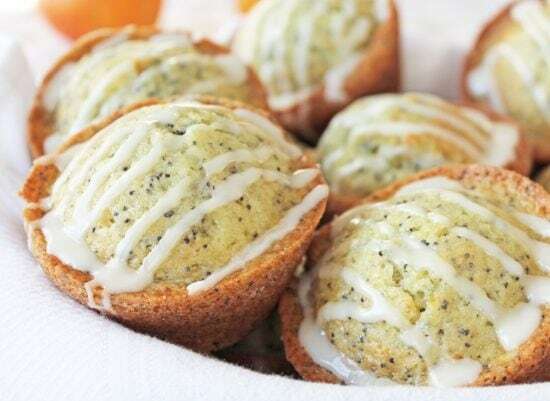 So light in texture and lovely lemon flavor!! Thank you for sharing!! This makes me SO hungry! What a beautiful cake! 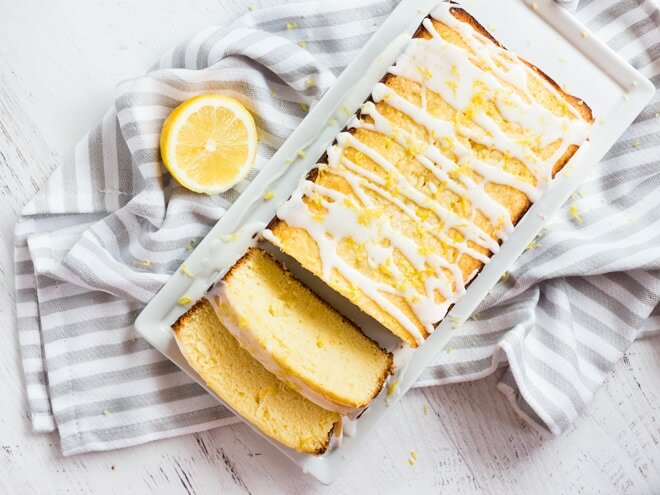 This lemon pound cake screams spring! It's a dessert that everyone will love! What a gorgeous pound cake! 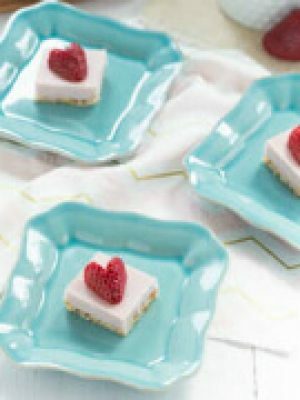 So perfect for spring and I'm obsessing over how pretty that glaze looks!